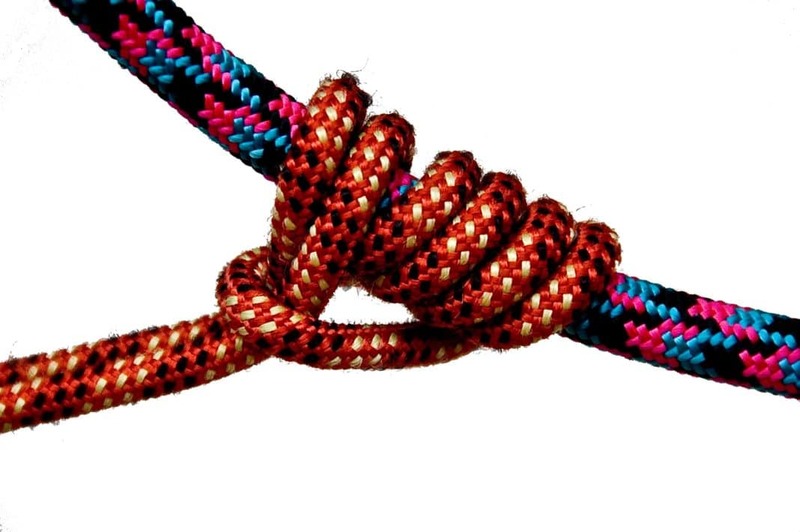 Learn how to tie different climbing knots for your next outdoors adventure. If you’re a traveler who plans to go climbing, you need to know how to tie climbing knots. These knots remain integral to keeping you safe as you scale a mountainside. The knots secure your rope to a climbing harness or any other anchor. While you climb, these knots will ensure you don’t disconnect from safety mechanisms. Accordingly, travelers with an interest in climbing should learn how to master the skill of tying climbing knots. That’s why we’ve created a list of ten climbing knots to help you increase your safety while outdoors. Check out our article below to learn all about how to tie these knots. Any travelers with lots of experience climbing should consider learning the Bowline Knot. This type of climbing knot remains helpful in all kinds of climbing adventures. The Bowline Knot can be utilized to tie rope to a tree or another kind of anchor. 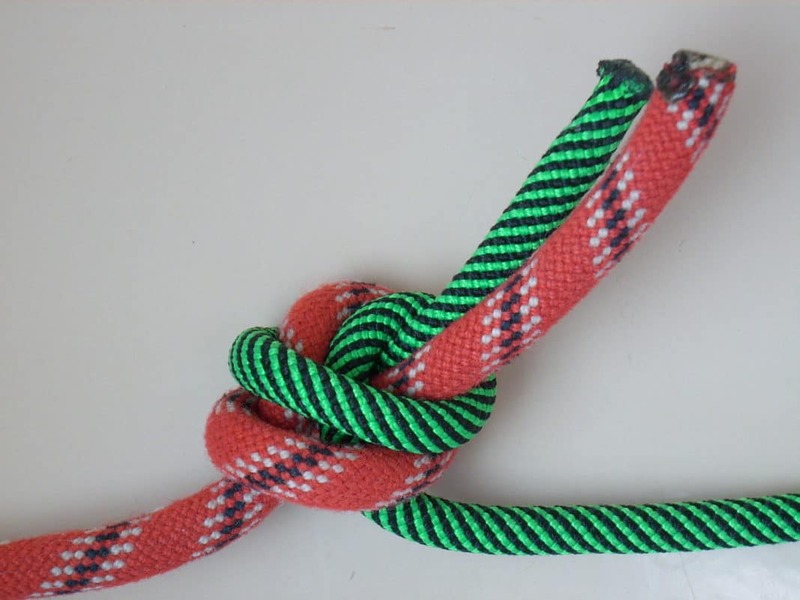 When loaded, the Bowline Knot shouldn’t slip or jam. Once you learn how to tie this example on our list of climbing knots, you’ll never feel unsafe while climbing. If you need more practice with tying climbing knots, you may want to skip this option. The Bowline Knot can cause frustrations for travelers without much experience tying knots. However, after learning how to manipulate this knot, you’ll find it quick to tie. 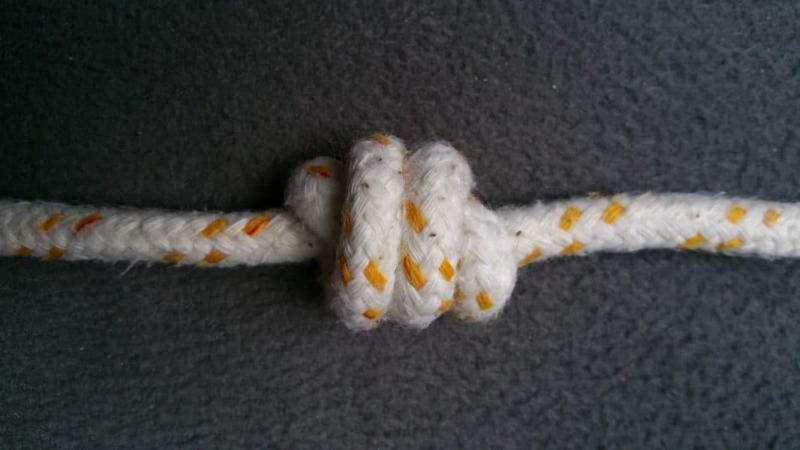 You could even use this knot to tie two lines together if desired. However, travelers might want to back this knot up with a stopper knot in case it slips when unloaded. 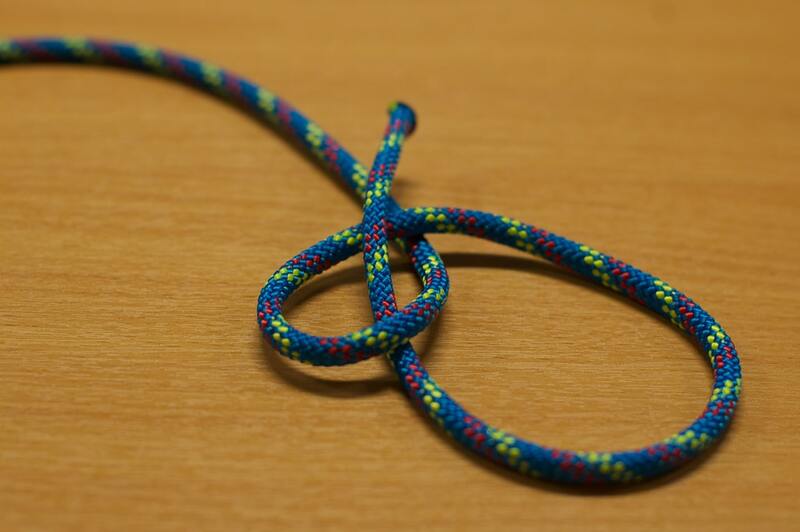 This type of climbing knot remains extremely popular amongst climbers. The Figure 8 Knot represents a fairly basic knot that can be useful for attaching ropes to harnesses or anchors. Travelers who enjoy climbing will probably be aware of this type of knot for tying their rope to harnesses. Most travelers new to climbing may learn this type before discovering additional climbing knots. Regardless, every climber should know how to tie the Figure 8 Knot. 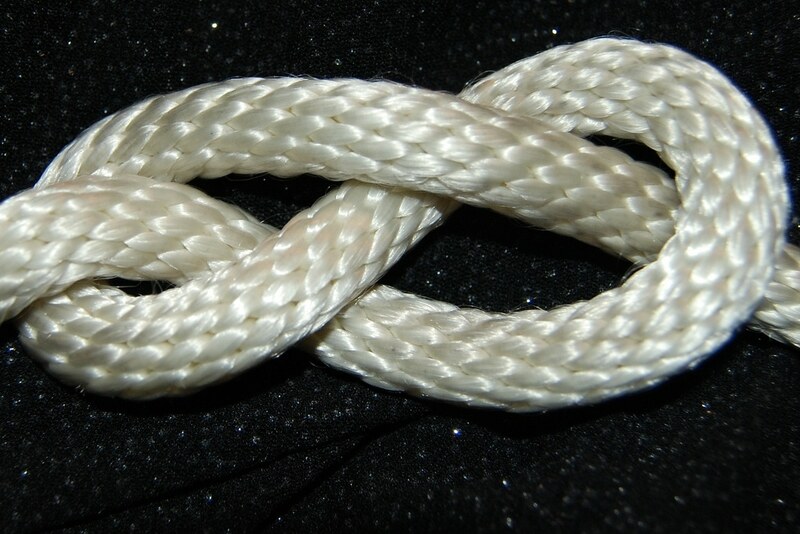 As its name suggests, the Figure 8 Knot will appear like a figure 8 as you tie the knot. The method to tie this knot remains fairly easy, so almost anyone can do it. Among various climbing knots, the Figure 8 might also be the one you use the most. Since the knot retains the rope’s strength well, you could use it for almost any climbing adventure. The Double Fisherman’s Knot may be utilized for connecting two ropes as well as creating loops from cord. This knot actually falls under the classification of a bend, though most climbers still refer to it as a knot. Once you tie the Double Fisherman’s Knot, you can climb without worry. The knot remains extremely difficult to untie once it has been weighted. In this manner, the Double Fisherman’s represents one of the sturdiest climbing knots on this list. After loading the Double Fisherman’s ropes, two fisherman knots will press against one another. One perk to tying this knot involves the ability to tie ropes of different diameters together. You won’t have to purchase ropes of the same diameter before going up on a mountain. This also helps if you’ve forgotten to pack the right equipment for your climbing trip. 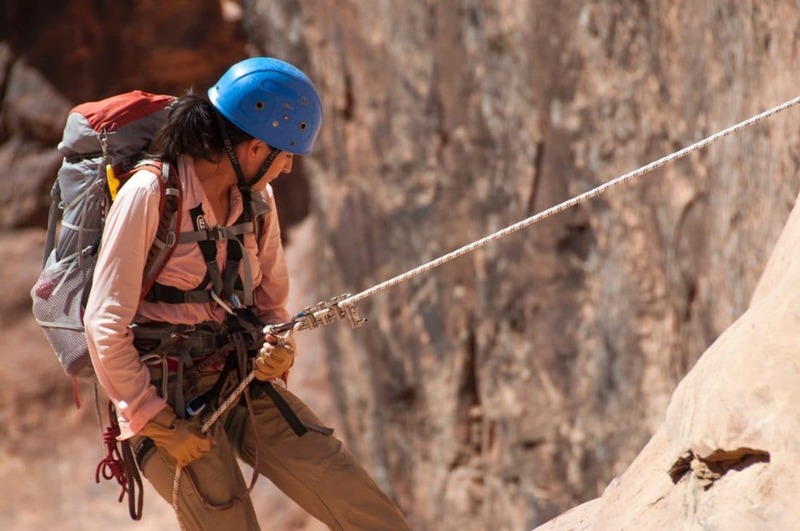 Sometimes known as the Overhand Bend, the European Death Knot allows travelers to combine two rappel ropes. This kind of knot flattens after it has been loaded, a huge bonus for climbers. Since the knot flattens, you won’t have to worry about it getting stuck on a wall while pulling ropes down. As such, the European Death Knot remains unique among other climbing knots in this article. While the name of this knot might worry some travelers, the knot remains extremely strong and sturdy. Once you learn how to use the knot in the right manner, you’ll find it to be safe and robust. When first learning to tie the European Death Knot, be sure not to tie a Flat Figure 8 Knot. This won’t help you if you’re attempting to connect a couple ropes for rappelling. 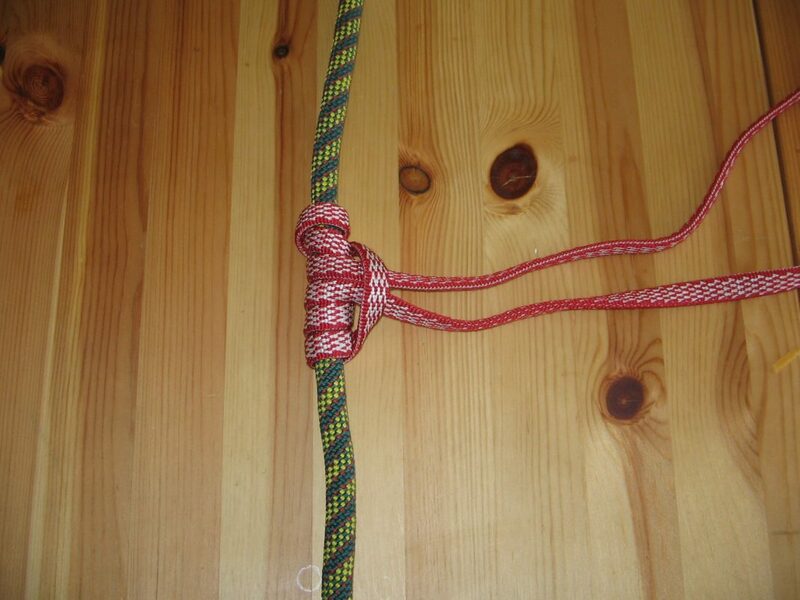 Rather than learning a simple climbing knot, travelers should consider teaching themselves an upgraded overhand knot. 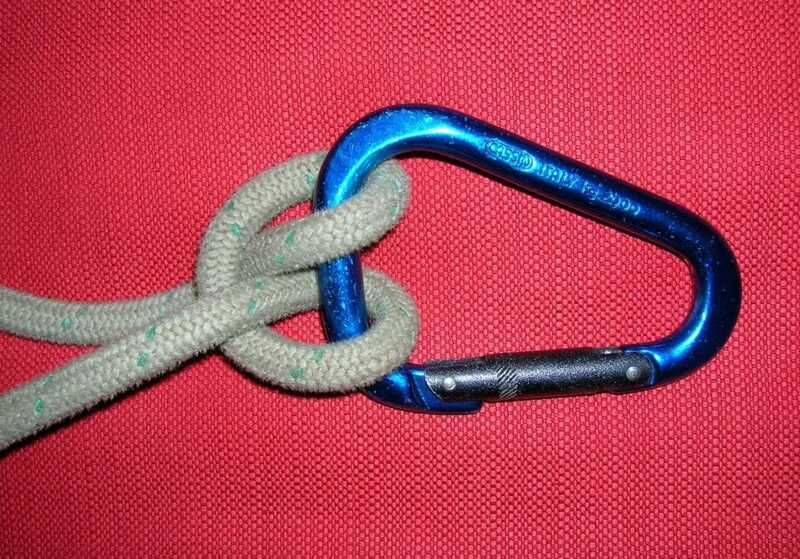 These types of knots assist climbers in creating a more secure stopper knot in the rope. The Barrel Knot, also known as the Triple Overhand Knot, remains ideal for closing the system when rappelling and belaying. This knot keeps the end of the rope from sliding through the belay device without your knowing. While the Triple Overhand Knot, or Barrel Knot, might sound complicated to tie, it’s fairly simple to configure. If you know how to tie a single or double overhand knot, you’ll find this super easy to tie. You’ll simply have to add one pass to the Double Overhand Knot. The knot appears a bit larger and remains more difficult to untie than the double version. Once you’ve tied the Barrel Knot, you may consider it one of the strongest climbing knots on this list. Certain kinds of techniques for tying climbing knots allow travelers to form a loop on a rope. These remain known as climbing knots “on a bight,” as they have been tied in the middle of the rope. Rather than placing the knot on the end of the rope, the centered tie allows for different functionality. The Butterfly Knot represents one of these climbing knots that involve tying in the rope’s middle. With the Butterfly Knot, climbers can form a loop in the middle of their rope. This remains incredibly helpful for the middle climber of your rope team, as the loop won’t change shape upon pulling. Tugs on either side of the rope will not alter the loop thanks to its central placement on the rope. Congruently, travelers climbing in groups may want to consider using these kinds of climbing knots. As mentioned above, bends remain another type of climbing knot that travelers should learn how to tie. These climbing knots let you connect two ropes and craft loops from webbing and cord. The Water Knot, also known as the Ring Bend, remains ideal for connecting tubular webbing. You can combine two pieces of webbing by utilizing this climbing knot while partaking in a mountainous adventure. This climbing knot also tends to be popular when climbers want to make a sling. If you’re working with webbing, definitely consider mastering the Water Knot. You won’t find another knot on this list that’s more helpful for tying webbing. Besides making slings, travelers could also use the Water Knot to create grab handles. 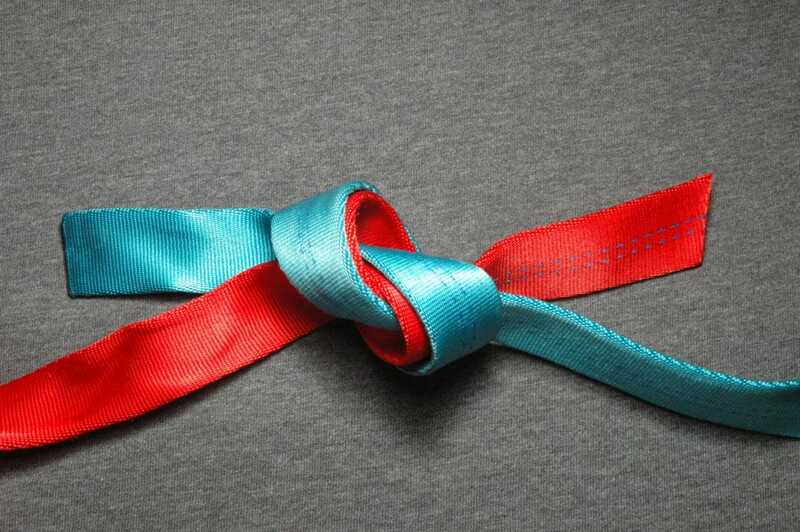 After making loops with this knot, be sure the tails leave from differing sides of the knot. Some kinds of climbing knots may actually be characterized as friction hitches. These hitches, commonly called knots, allow travelers to attach cord to a rope. The hitches will grip onto the rope after being weighted, while sliding upon removing the weight. With the Prusik Knot, or Prusik Hitch, climbers will have the ability to climb up mountains easily. As one of the most common hitches amongst climbers, the Prusik Knot remains a top knot choice on this list. The Prusik Knot also has an essential role in crevasse rescue systems, thanks to its gripping abilities. This knot will grip the rope no matter what direction you choose to pull on it. In case the rope’s end has been pulled suddenly, the knot will hold the load in place. This means bags and people dangling on the rope won’t slide down without a way to stop. Instead of learning the basic climbing knot, why not master the Prusik Knot? Hitches represent some of the easiest climbing knots to tie on this list. Climbing hitches also unravel as soon as you take them apart from an object. This means you won’t have any knot to untie once you’re done climbing. The Clove Hitch represents an example of this kind of climbing knot. When you utilize the Clove Hitch, you’ll have the ability to attach a rope on a carabiner. This climbing knot remains one of the most important knots for climbers to learn. You can use the Clove Hitch for securing lines along a series of posts, as well as for belaying. The Clove Hitch may also be tied with just one hand, making it easy to learn for new climbers. This knot will even unravel quickly once it has been unclipped from the carabiner. Another example of a friction hitch, the Klemheist Knot might be your new favorite climbing knot. 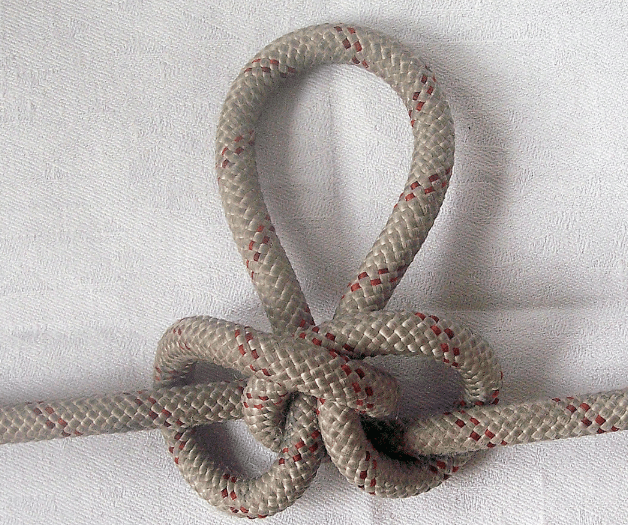 This knot has a unique design, as it can be used with cord and nylon webbing. The Klemheist Knot grips the rope after a weight has been added but moves freely after removing the weight. When you learn how to use the Klemheist Knot, you’ll get to climb up and down mountains with ease. The Klemheist Knot has been designed for downward pulling, so take note of this before tying one. If you don’t want to spend a lot of time tying a knot, consider this climbing knot. As an alternative to the Prusik Knot, the Klemheist won’t take much time to tie. You could simply tie this knot and be ready to climb a mountain in a cinch. Upgrade your climbing knowledge by learning some of these climbing knots. No matter how skilled a climber you might be, you still need to master tying climbing knots. These knots maintain your connection to a harness as you climb up mountainsides. In order to stay safe as you climb, you should master a few of these knots. That way, while you’re outdoors, you’ll never worry about disconnecting from your anchor. We hope our article has given you some helpful information on climbing knots and how to tie them. Next time you take a trip to the mountains, you’ll know exactly how to remain safe while climbing.